A 3-piece luggage set that takes the hassle out of travelling and makes a stylish statement! 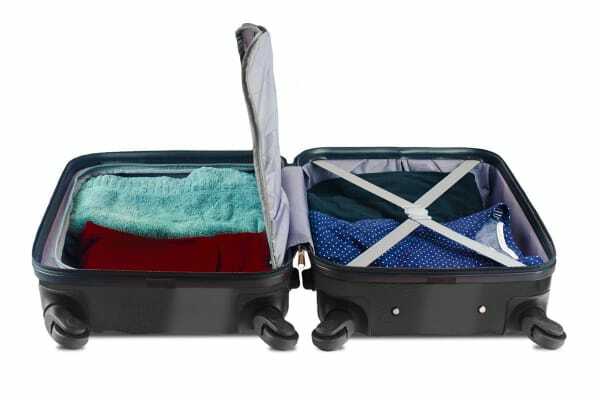 Whether you’re off on a holiday or a business trip, the charcoal grey Orbis 3 Piece Deluxe UltraTough Spinner Luggage Set will securely and stylishly hold all your belongings and allow you to zip around smoothly, no matter where you go! Take the stress out of packing and travelling with these fashionable, ultra-tough cases and get the most out of your travels! With three different sizes at hand, you’ll always have the perfect case for for weekend trips, business outings, or even your month-long sabbaticals! The smallest case even works perfectly as carry-on luggage, saving your precious time (and $$) at the airport. Pull or push your luggage in any direction with absolute ease thanks to the four multi-directional spinner wheels that each case features. Whether your luggage is tilted or upright, you’ll be effortlessly manoeuvring around and reducing the risk of straining your back or arms. 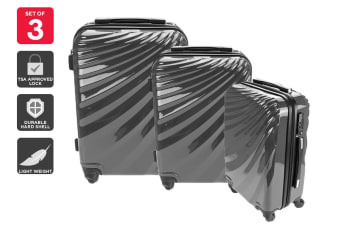 Fitted with an impact resistant hardside Polycarbon Shell that is both lightweight and incredibly strong, the Orbis 3-Piece Deluxe UltraTough Spinner Luggage Set is built to go the distance. Extremely durable and resistant to cracking and tearing, this luggage set has all the properties that make it the perfect companion for all your journeys, near or far! 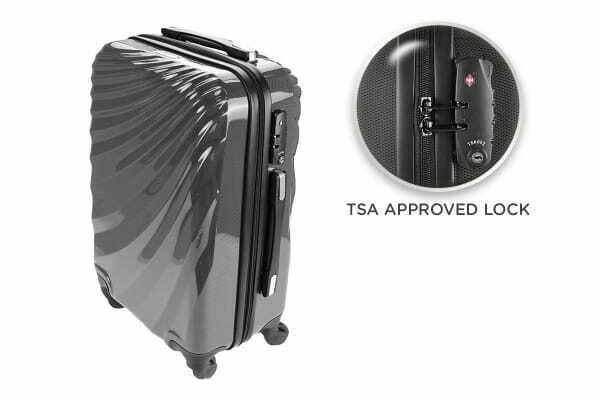 Certified by the Transportation Security Administration US agency, this lock allows security to check your luggage without damaging your belongings. Allowing you to travel safely through the United States and future proof yourself against other international locations.